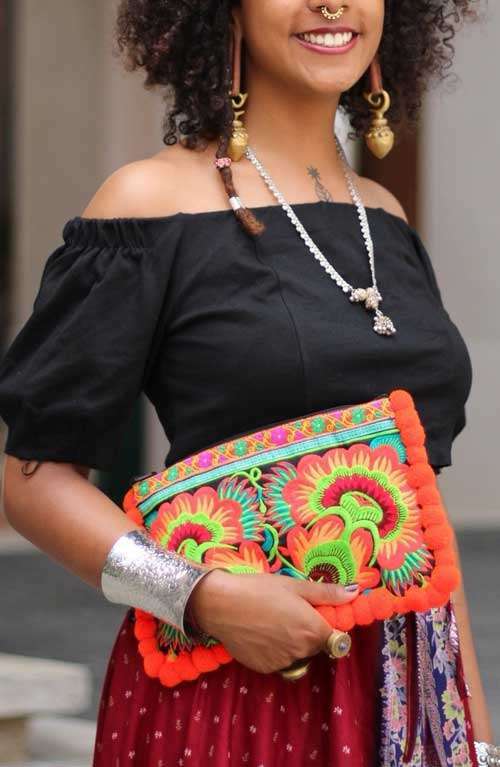 A bohemian style women's clutch purse handmade in Thailand. This boho bag with orange tassels is the perfect clutch bag for all festive occasions. 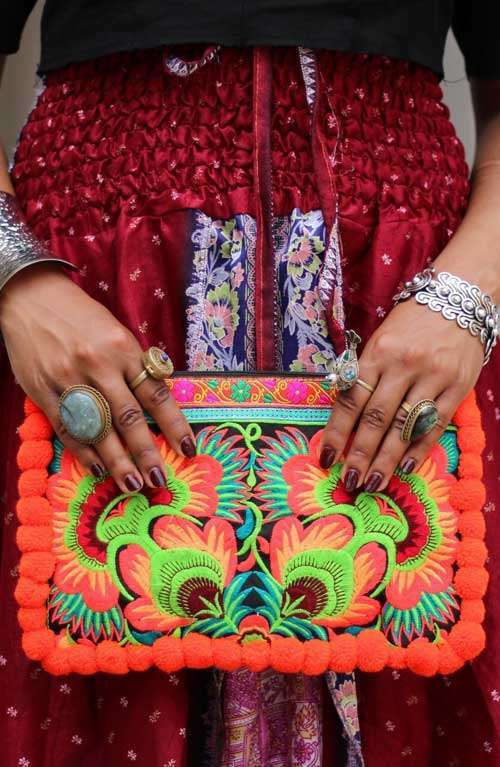 This unique and stylish clutch purse is handmade with love in Thailand. The boho bag features a gorgeous embroidered design and is decorated with bright sunrise orange pom pom's. The clutch bag has a zipper opening and a zipper pocket inside.